← Webpack updates, webpack-cli and git installation – Angular training in Mumbai. Azure Commonly Asked Questions and Answers – Part 1. Define SAAS, PAAS and IAAS? How is cloud different from normal webhosting? What is a resource and why do we need Resource group? What is the importance of Resource group location? Which appservice will you choose to host a website? What is the importance of Service plan and pricing tier? 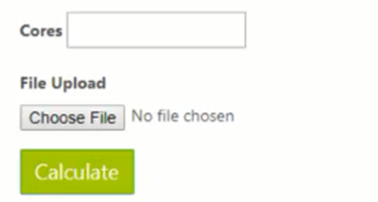 How to upload a site by using FTP on Azure? How can you go to the console of Azure? What is the need to use App Service Editor? Explain the importance of publish profile of Azure? What is the problem of mapping work load with Azure configuration? On which factors does DTU depend? How to measure the five factors which derive DTU? How can you create SQL Server DB on Azure? Explain the term “Server Less”? How to create function apps using portal? For function app template in visual studio, what has to be installed? How to create function apps using visual studio? Consumption plan VS Service plan? What is the importance of Scale controller? What is a Web Hook/API function app? Differentiate between resource manager and classic? Explain the difference between blobs, files, queues and table? Differentiate between general storage v1 vs v2 vs blob? When should we select hot access tier or cold access tier? When should we choose standard vs premium? Differentiate between SSD vs HDD? Differentiate between LRS, ZRS, GRS and RA-GRS? How can azure storage explorer make your life easy? Azure is Microsoft’s implementation for cloud computing. It deals with two principles i.e. Outsourced and On demand where we only pay for services which we use so we pay-as-we-use the cloud and everything is outsourced to azure hence we only need to worry about building our application. IAAS which stands for Infrastructure as a service is the hardware part of Azure’s hosting service as it consists of ram, hard disk, router, networking, cpu and gpu etc. PAAS which stands for platform as a service is platform software to operate the hardware which consists of Operating systems, Frameworks, Databases and Web server etc. SAAS which stands for Software as a service is the software layer which provides with services like email, invoicing, accounting and control panel etc. for our application. But in Cloud hosting provider like Azure allows us to only pay for what we use along with being elastic and flexible for Application hosting thus bringing down the cost. A resource is the requirements that we need to build the application on the Azure Cloud where a resource can be database, server etc. A resource group is a collection of multiple resources for example web servers, database and frameworks etc. are grouped into a resource group named web development. Different resources can have different geographical locations like UK and US etc. hence we have resource group location in Azure to store the meta-data of these various resources stored at different locations. App service plan is the meta-data for various components like ram, webservers etc. which can be customized by us to our required. Initially the standard app service plan is set as default and we can further customize and new parts using pricing tiers. The app service should depend upon the resources that we require to host our application. 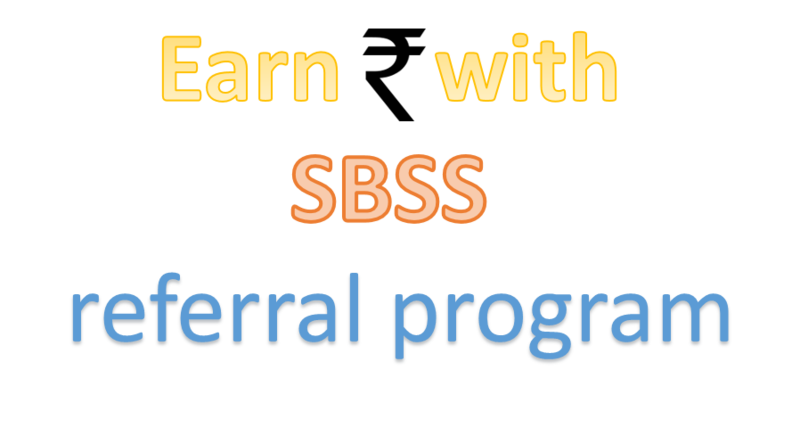 As you can see from above we can go from a free appservice plan with 1GB of free storage to the isolated appservice plan multicore setup and SSD configuration. App service plan can be changed depending upon our requirement above is the diagram for pricing tier and app service plans. App service plans start with a free app service which is a barebones plan with just 1GB of storage as we keep on going up in the pricing tier hence we can add more parts and which goes up to isolated. After uploading our existing application or creating a new application along with our chosen app service plan and then press create which will upload our application and deploy it as a web application. Later on we can create a FTP username and password and login into it and then see that our site is uploaded to a wwwroot folder. Console can be found below the DEVELOPMENT TOOLS section after that we can click on it. This console is very similar to our normal command prompt where we can perform nearly all the task that we perform on a normal terminal window. It is an online editor in case we don’t want to download and upload the files again on the cloud hence it’s mainly used to change the code or make quick bug fixes in production. It has a layout and feel similar to VSCode. Publish profile file has the necessary credentials which we can use to login to the site. We can load this file in Visual Studio and publish it if any changes are made to the project which is already deployed. Consider we have service application plan which has particular set of components like Ram, CPU cores, Hard Drive Space, No of simultaneous users etc. But to different organizations and customers different aspects of work load are necessary like Ram or cores on a CPU hence mapping work load with azure configuration becomes a bit problematic. While deciding which price tier we need to buy the load that we intend to have on the cloud must be calculated to select our app service plan hence to calculate this load we use DTU. Hence DTU can be calculated on the above five factors which are no. of Reads, no. of Writes, Ram, CPU and Log processing speed. DTU is the Unit of measure which guarantees performance for that configuration. EDTU which stands for Elastic Database Transaction Units. It employs the same calculations as DTU to calculate load but EDTU’s are shared among many databases they do not have a rigid number of databases. DTU Depends on five factors mainly no. of Reads, no. of Writes, Ram, CPU and Log processing speed for calculation of load. And then we need to run the .exe file downloaded in the above step it will generate a csv file in the temp folder which it can create by running a load test on the system. To create a SQL Server DB on Azure we need to click on SQL databases category on the left side menu. After opening the category we can add a database name, add our existing resource group or create a new one, choose if we want a DTU or EDTU in the Elastic pool option and create new login details along creating the database on which we can work on it later with SQL SERVER Management on by logging with same credentials as with which we have registered on Azure SQL DB. Function apps are small piece of code or logic which get hosted on azure for which we do not need to provide a big virtual machine and we can host them in a server less manner. Server Less means the app or code does not need a virtual machine to be hosted hence we do not need to pay for a virtual machine to host these code. You can create a function app on azure portal by clicking on the function apps option in the left section of menu’s or click on the plus sign after that we need to select function app and then configuring the required information. The Azure development package must be installed in visual studio features window in Visual Studio 2017 to have an option in to create a new project in cloud section for Azure Functions. We can create a function app in visual studio by adding a new project after that we need to select the cloud menu option (This requires Azure development package to be installed in visual studio features window in Visual Studio 2017) and selecting the Azure function app option. Service plan allocates a full blown virtual machine for our usage which we have preselect before hosting our application. Consumption plan allocates resources to our application on basis of the number of calls made by our application hence we do not have allocate predefined resources if we are not sure about our applications load requirements. Scale controller is used to scale up or scale down the function instances. It is the middle layer between different request between different events like HTTP, Timer, Queue and Service Bus. Scale controller is available for Consumption plan and not for Service plan. Web Hook/API function app is used to invoke a function app via a HTTP request in Azure while creating a function app. Classic is the Deployment model used for applications deployed earlier in the Classic virtual network in earlier version of cloud. While Resource manager allows us to use the new resource group feature which allows us to group many resources together and manage them. File: It can be any physical file like a word file, Gif, Xlsx (Excel) or PPT (Power point) etc. 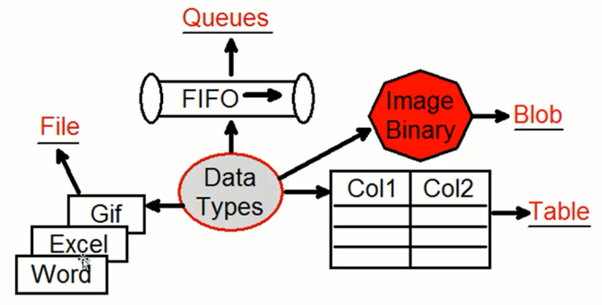 Queues: The data supports formats like FIFO, LIFO, FILO etc. which are basically queues for data to line up to be processed. Blob: This data type supports storage of data in Binary format. Table: For data which are required to be stored in name value pair we would like to select this data type. Blob stores data in only binary format in azure storage while general storage v1 data in all the four data types in the storage. The only difference between general storage v1 and v2 is that v2 has an extra option called Access tier which contains two options hot and cold also it has the facility of archiving along with having lower through put unlike general storage v1. Hot access tier should be used in general storage v2 to allow faster access to data via caching and fast processing while cold access tier is usually set for data which is not access that often. Standard under the performance option means your data will be stored on HDD (Hard Disk Drive) while Premium means your data will be stored on a SSD (Solid State Drive). HDD which stands for Hard Disk Drive has a rotating magnetic disk which is read by a mechanical hand while SSD has static storage configuration hence no moving part leading to higher read and write speeds. But SSD are much costlier than HDD hence they are included under the premium section under the performance menu. LRS (Locally-redundant storage) backs the data in the same data center as the data center which contains the original data. GRS (Geo-redundant storage) backs the data locally in the same data center as well as geographically somewhere else. ZRS (Zone-redundant storage) is especially for blobs it can backup data in local data centre’s as well as data centres in other geographical regions. RA-GRS (Read-access geo-redundant storage) backs the data locally in the same data center as well as geographically somewhere else which is the same as GRS backup but in this type we can read from the backup copies. We can download Microsoft Azure Storage Explorer online and install it as desktop application. We can use to manipulate storage and create blobs, files etc. easily with Azure storage explorer with just logging in with our azure credentials. Cosmos DB is an improvised version of Document DB which was mainly created to reduce latency issues by bringing the database centres closer to the client location. Cosmos DB is a Planet Scale, Json based, Multi-APi and NO SQL database. This entry was posted in Class Room Training and tagged Azure interview questions & answers, Azure questions and answers. Bookmark the permalink.